Even if you don’t have a 15 or 30 minute window to dedicate to yoga or a bike ride, that doesn’t mean you can’t add physical activity to your day. If you’re not ready to commit to a structured exercise program, think about physical activity as a lifestyle choice rather than a single task to check off your to-do list. Look at your daily routine and consider ways to sneak in activity here and there. Even very small activities can add up over the course of a day. At work and on the go. Look for ways to walk or cycle more. For example, bike or walk to an appointment rather than drive, banish all elevators and use the stairs, briskly walk to the bus stop then get off one stop early, park at the back of the lot and walk into the store or office, take a vigorous walk during your coffee break. Walk while you’re talking on your cell phone. With friends or family. 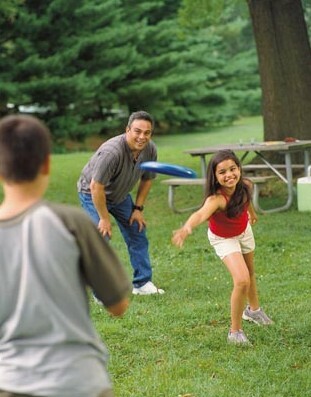 Walk or jog around the soccer field during your kid’s practice, make a neighborhood bike ride part of weekend routine, play tag with your children in the yard or play exercise video games. Walk the dog together as a family, or if you don’t have your own dog, volunteer to walk a dog from a shelter. Organize an office bowling team, take a class in martial arts, dance, or yoga with a friend or spouse. When we decide to begin exercising, many of us will rush out and join a gym or buy costly exercise equipment with a vow to working out every day. We may go to the gym once or twice, use the equipment a couple of times and then quickly lose motivation. The gym membership gathers dust and the exercise equipment is confined to the back of a closet. Exercise doesn’t need to be an all or nothing commitment. Committing to exercise for an hour a day may be too challenging at first, whereas committing to 10 minutes just three or four times a week is more manageable. Once these short windows of activity become a habit and you start experiencing the benefits, it’s easier to progress to the next level. Take it slow. Start with an activity you feel comfortable doing, go at your own pace, and keep your expectations realistic. 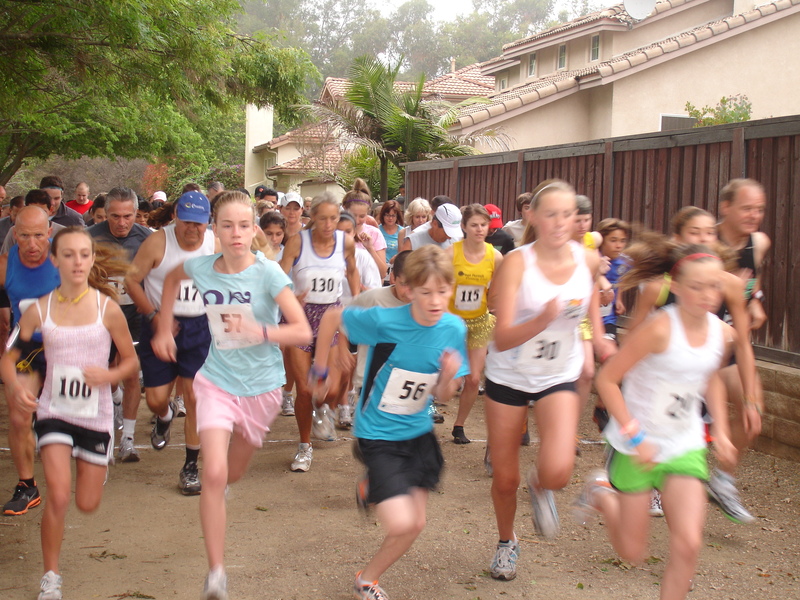 For example, training for a marathon when you’ve never run before may be a bit daunting, but you could give yourself the goal of participating in an upcoming 5k walk for charity. Make exercise a priority. It’s one of the best things you can do for your physical and mental health and by making exercise a priority in your life, you’ll be more likely to stick with it over the long-term. If you have trouble fitting exercise into your schedule, consider it an important appointment with yourself and mark it on your daily agenda. Even the busiest amongst us can find a 10-minute slot to pace up and down an office staircase or take the dog for a walk. Go easy on yourself. Do you feel bad about your body? Instead of being your own worst critic, try a new way of thinking about your body. No matter what your weight, age, or fitness level, there are others like you with the same goal of exercising more. Try surrounding yourself with people in your shoes. 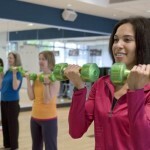 Take a class with others of a similar fitness level. Set easy goals for yourself to start with. Accomplishing even the smallest fitness goals will help you gain body confidence. Stretch. No matter what form of exercise you choose, you’ll benefit from adding stretching exercises to gain flexibility and range of motion. Stretching to warm up and cool down is the best form of injury-prevention for new exercisers. Get medical clearance if you have special health issues such as an existing heart condition or high blood pressure. Talk with your doctor or health practitioner and let him or her know your plans. 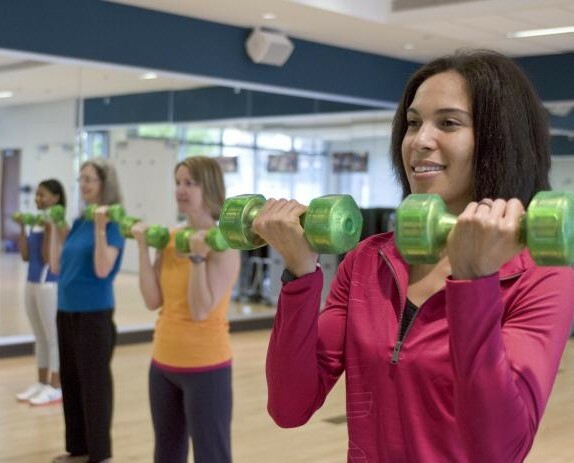 You are more likely to exercise if you find enjoyable, convenient activities. Give some thought to your likes and dislikes, and remember that preferences can change over time. Blast some favorite music and dance with your kids. Make a deal with yourself to watch your favorite TV shows while on the treadmill or stationary bike. 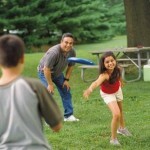 Enjoy outdoor activities such as golf, playing Frisbee, or even yard work or gardening. For many, a workout partner can be a great motivator. For example, if you won’t get out of bed to swim yourself, but you would never cancel on a friend, find a swim buddy. Making lifestyle and behavior changes is not easy. It takes time and effort and you’ll likely suffer some setbacks along the way. But over time, as you continue to exercise, you’ll start to reap the physical and mental health benefits and improve your physical performance. You’ll be able to exercise longer and harder and have the confidence to try new activities. Of course, no matter how much you enjoy an exercise routine, you may find that you eventually lose interest in it. That’s the time to shake things up and try something new, add other activities to your exercise program, or alter the way you pursue the exercises that have worked so far. Rewarding yourself for reaching an exercise goal is one of the best ways to stay motivated. Set an achievable goal regarding your participation and effort, not necessarily how much weight you can lift, miles you can bike, or pounds you can lose lost. If you stumble in your efforts, regroup and begin again. Reward yourself when you reach your goals—a new pair of shoes, a dinner out, whatever works to motivate you. Be consistent. Make your workouts habitual by exercising at the same time every day, if possible. Eventually you will get to the point where you feel worse if you don’t exercise. That dull, sluggish feeling fitness buffs get when they don’t work out is a strong incentive to get up and go. Record your progress. Try keeping an exercise journal of your workouts. In a matter of months, it will be fun to look back at where you began. Keeping a log also holds you accountable to your routine. Keep it interesting. Think of your exercise session as time to yourself. Enjoy that time by listening to music, chatting with friends, and varying locations. Exercise around natural beauty, new neighborhoods, and special parks. Above all, avoid workout boredom by mixing it up and trying new routines. Spread the word. Talking to others about your fitness routines will help keep motivation strong and hold you accountable to your exercise program. You’ll be delighted and inspired hearing ways your friends and colleagues stay active and on track. Who knows, you might even convince someone else to try to be more active. Authors: Lawrence Robinson, Jeanne Segal, Ph.D, and Melinda Smith, M.A.